"Department of Justice to Host Public Forums to Hear from Community as Part of Investigation of Chicago Police Department. 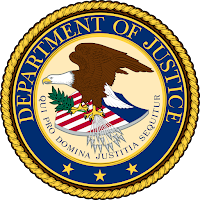 The Civil Rights Division of the United States Department of Justice, along with the United States Attorney’s Office for the Northern District of Illinois, are conducting a civil pattern or practice investigation into the Chicago Police Department. As part of the investigation, officials will be hosting public forums to provide information about the investigative process, and to offer time for community members to share their experiences with policing in Chicago. June 22, 6:30 p.m. to 8:30 p.m.
July 12, 6:30 p.m. to 8:30 p.m.
July 14, 6:30 p.m. to 8:30 p.m. The forums are free of charge and open to the public and the media. The purpose of the pattern or practice investigation is to determine whether there are systemic violations of the Constitution or federal law by the Chicago Police Department. The investigation is focused on use of force, including racial, ethnic and other disparities in its use of force, as well as police accountability systems, including how internal investigations are conducted, how the police department responds to citizen complaints, and how it handles officer discipline. Community members who are unable to attend the forums but wish to share information relevant to the investigation are encouraged to contact the Department of Justice by phone: (844) 401-3735 or email: community.cpd@usdoj.gov."